I created this apple tree before I had a blog. 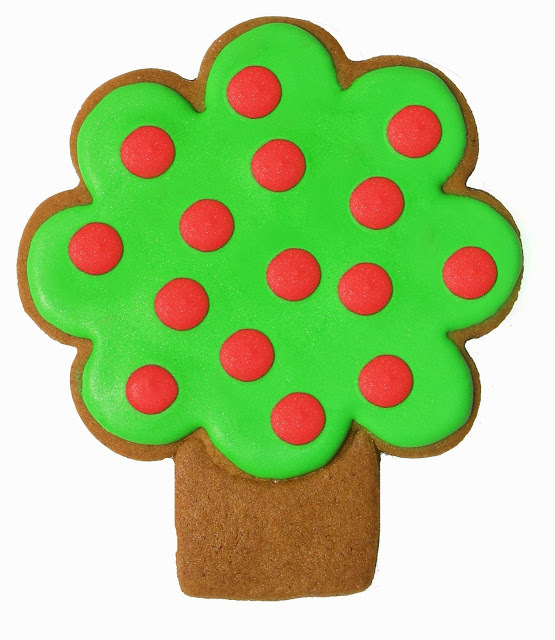 Inspired by Sugarbelle (who does a wonderful job of combining cookie cutters and making cookie cutters into entirely different things) I pieced two cutters together and created a fat little tree. If you look closely you will see a big scalloped cookie cutter and a small square one. I love the shape it created. The cookies came out well but I tried a different ginger cookie recipe and was very disappointed with the flavor. It wasn't as good as our recipe and I threw the cookies out - didn't waste my time decorating them. Nothing ventured . . .
To figure out this tree I scanned the cookie cutters and removed the background in PhotoShop. 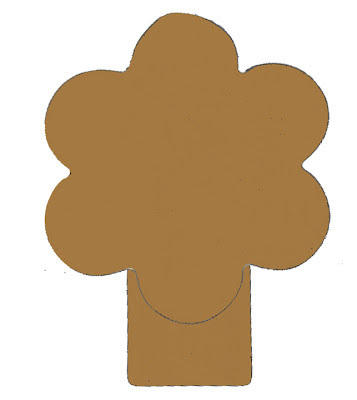 Then I pieced the two outlines together and filled them with gingerbread color. 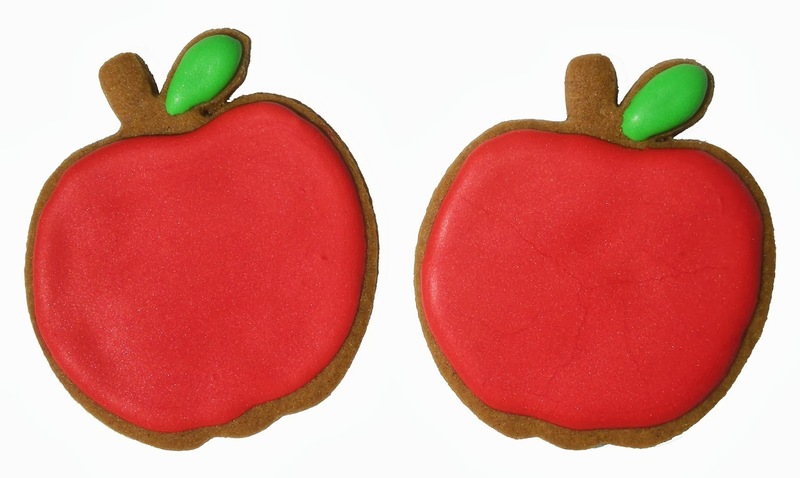 I planned to decorate them like this - I used MSDraw to draw on the scanned cookie to make a green tree with red apples. I do this with anything I want to experiment with - to see what it will look like. It's fun! 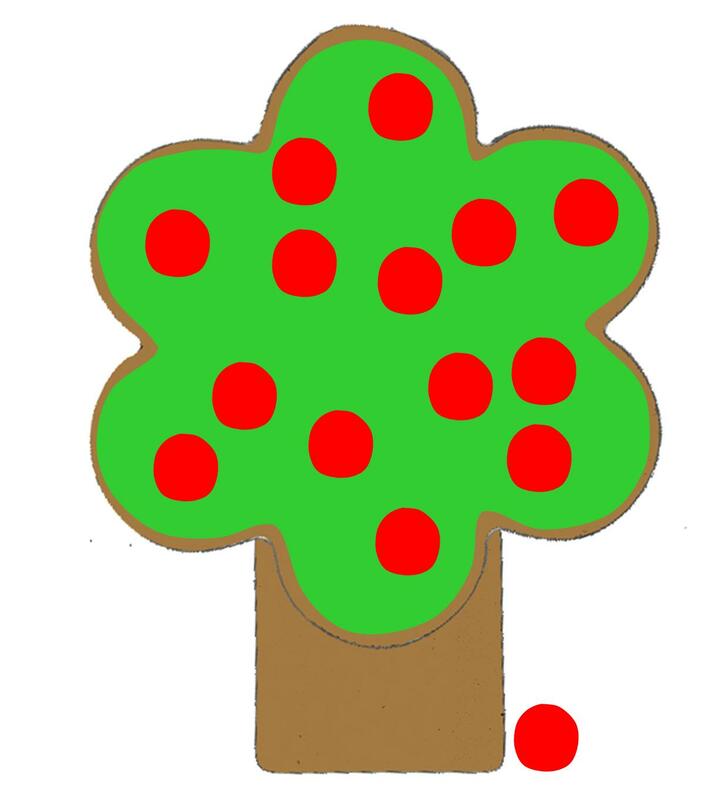 Smaller trees are easier to make! 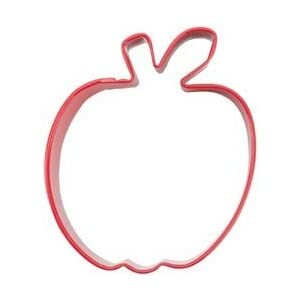 Last year I posted AN APPLE FOR THE TEACHER so I wanted a different apple cookie cutter and found this smaller one from Wilton - available on Amazon for $4.32 (yikes!) or from JOANN online for 99 cents. I ordered it from JOANN along with a few other things to defer the cost - and I had a coupon! I've finally learned to put lots of flour in tight spots in cookie cutters (like the stem and leaf) so they will come out of the cutter without breaking off.